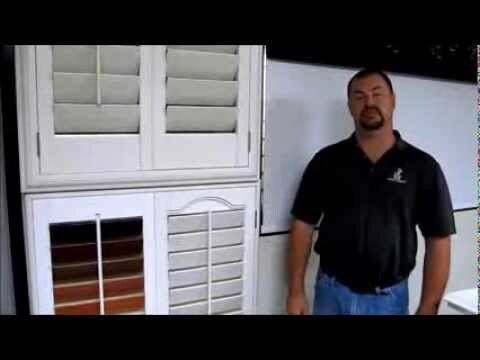 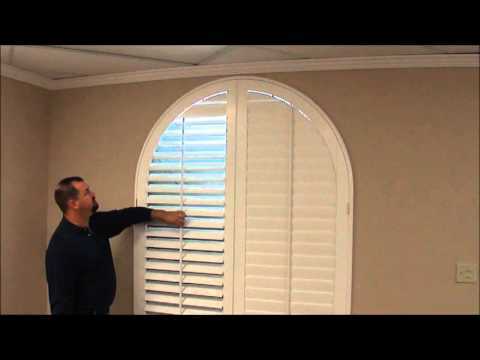 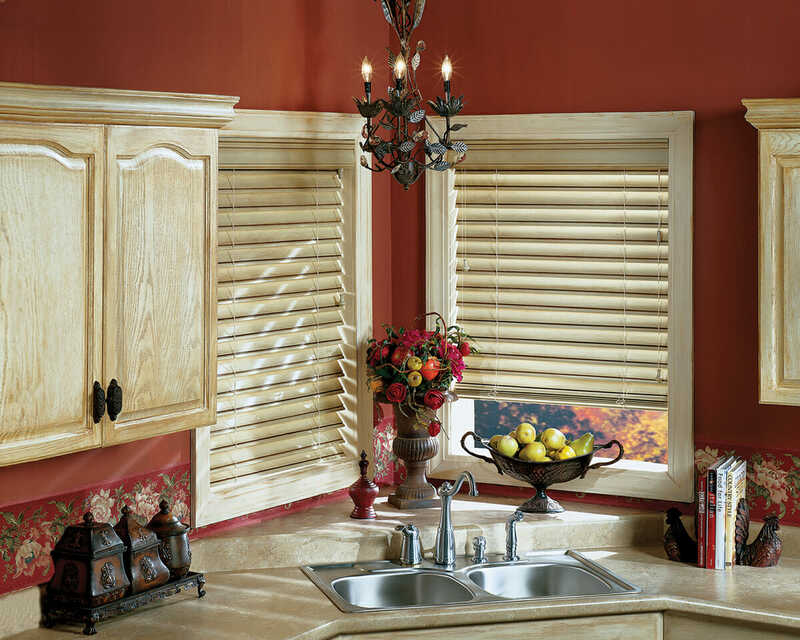 Wooden Blinds - Vertical, Shutter, Venetian & more! 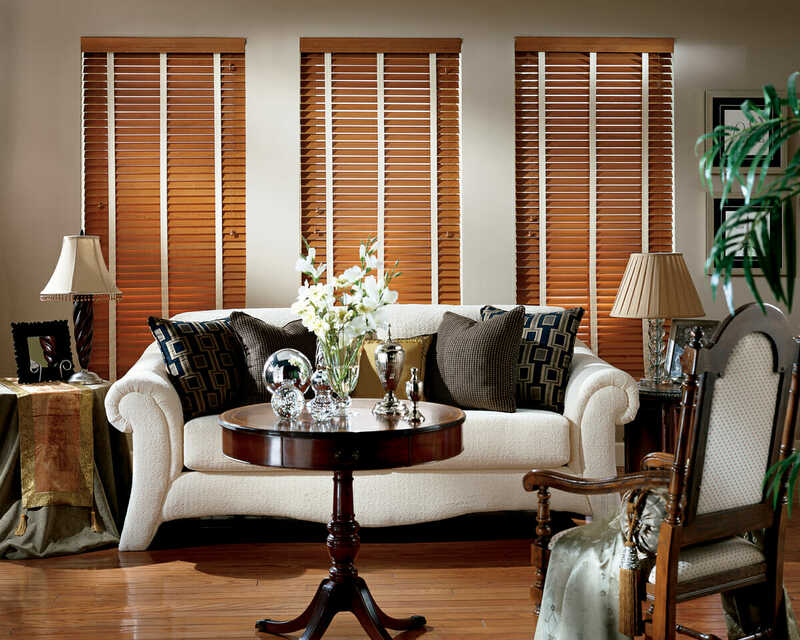 In general, wood blinds offer some great features, including adjustable slats for light and privacy control. 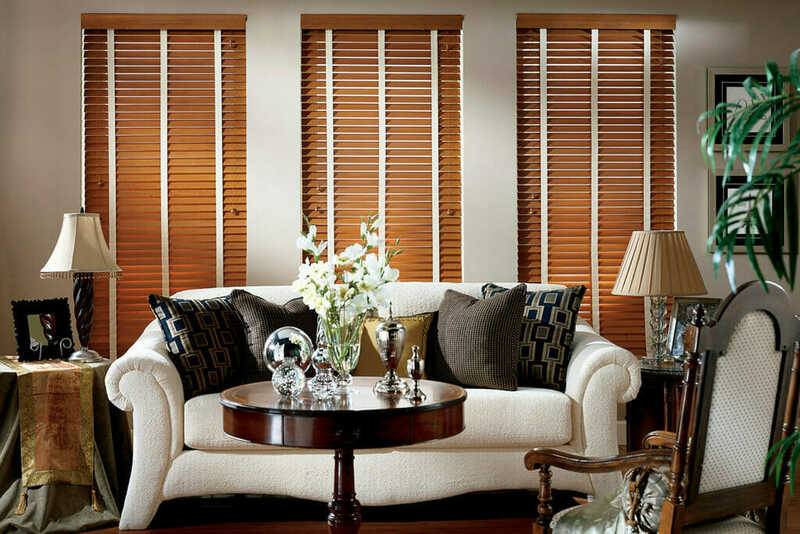 By adjusting the slats you can reflect light upwards or downwards, completely changing the ambiance in the room. 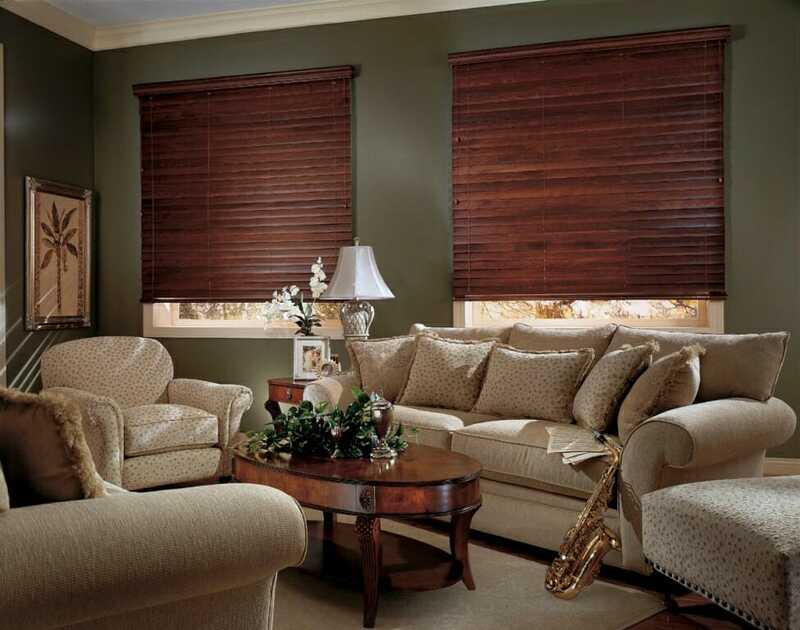 A lighter colored wood blind will reflect more light and a darker slat will absorb more light. 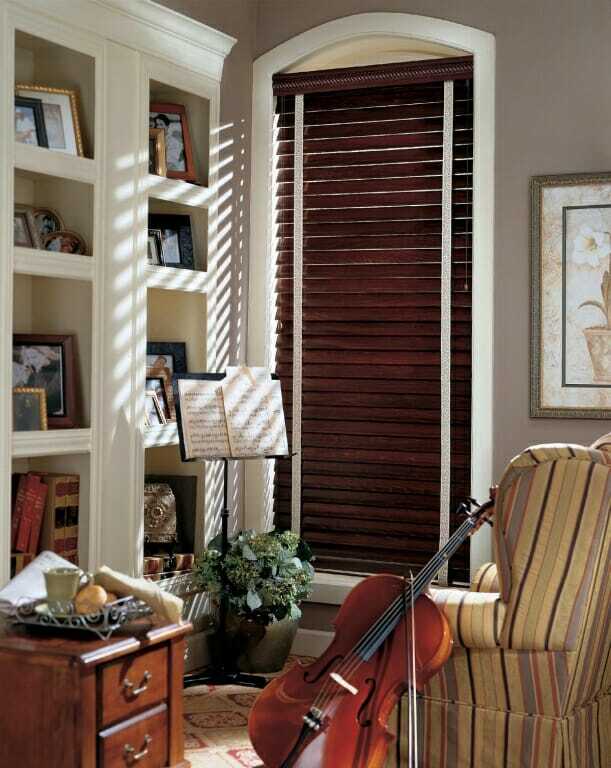 Although painted slats are the most popular wood blind variety, many of our clients prefer the natural, organic looking wood blind or choose a stain to match their décor. 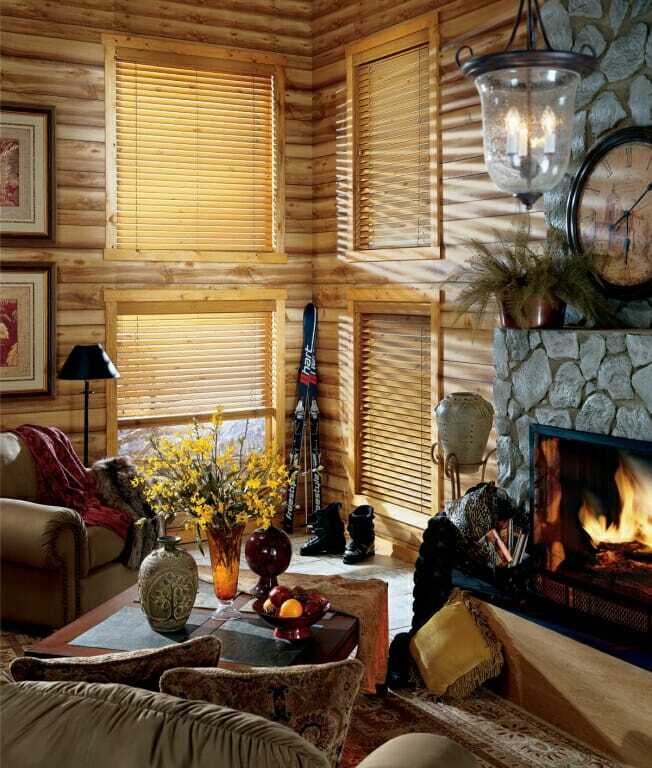 While wood blinds aren’t known for being particularly energy efficient, if used correctly they do have some energy efficient properties. 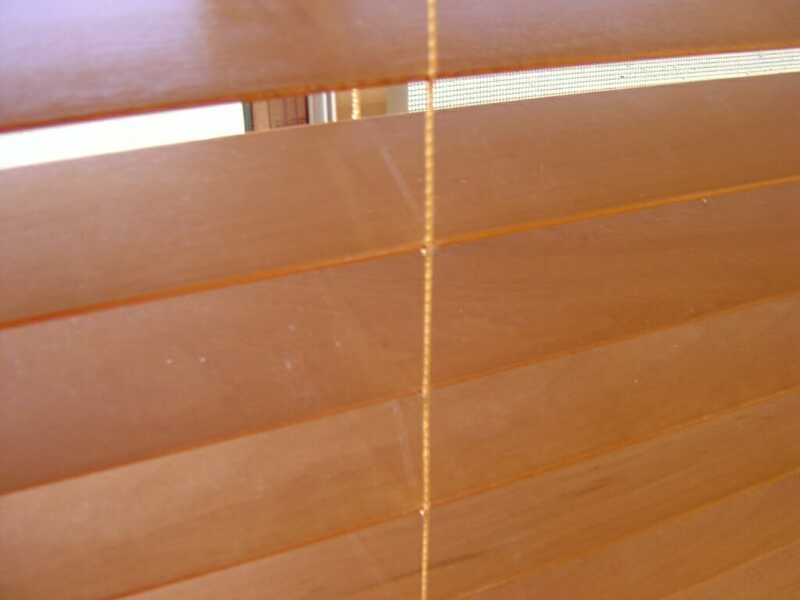 For example, wood blinds can be motorized and set to open and close the tilt of the blind automatically when the sunlight hits your windows. 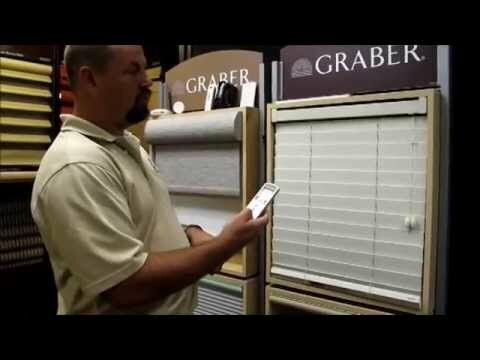 This will decrease the amount of light coming through your windows and increase your shading coefficient which reduced the amount of energy passed into your home and keeps the room cooler. 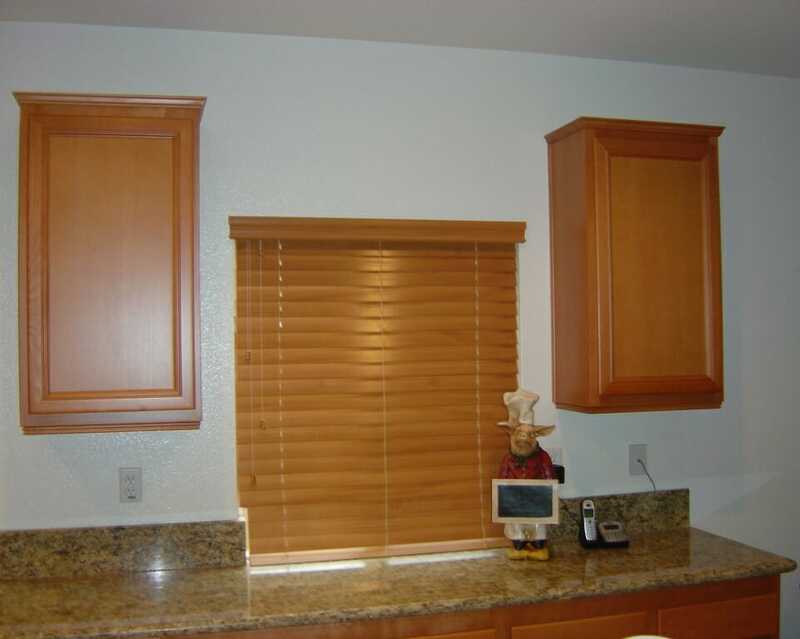 Basswood is the preferred wood due to its strength to weight ration. 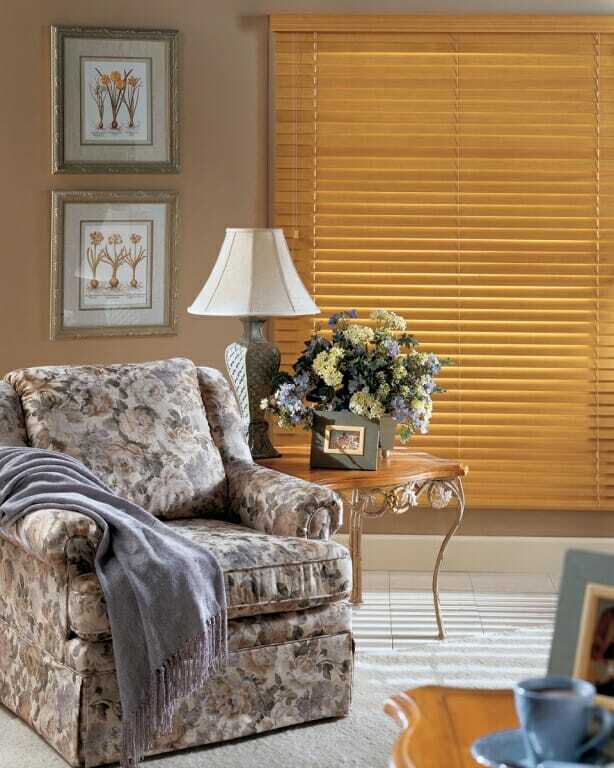 It has a smooth grain, which allows your wood blinds to be stained in a variety of custom colors. 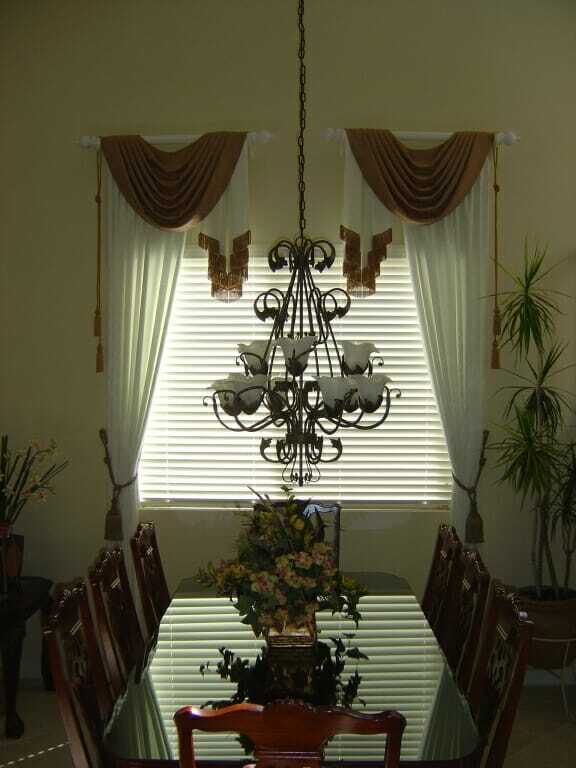 Basswood is also a great choice because of its sustainability and eco-friendly nature. 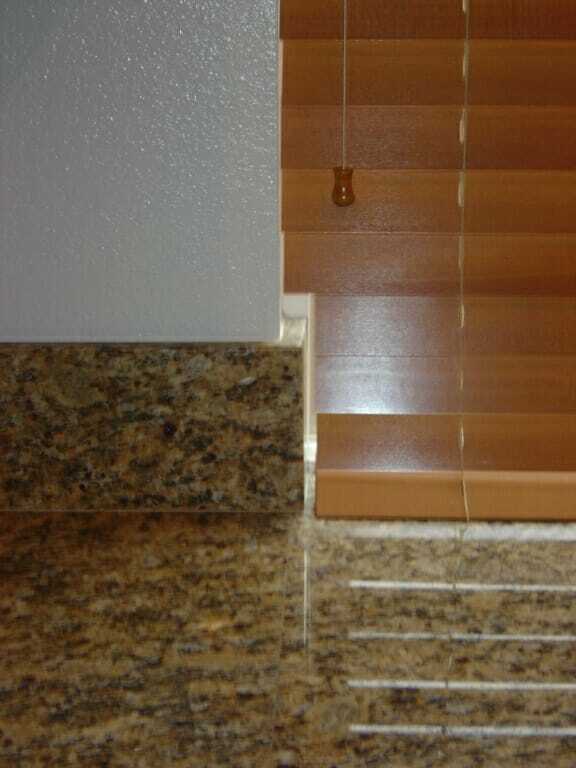 It is a renewable resource that comes from rapid growing trees and is locally farmed in the USA.